So I have a daily routine which involves using my twenty minute drive to work to collect my thoughts and finalise my plan for the day. It is very simple really, I just turn my radio on, focus on the morning traffic while I let my thoughts wonder on the tasks ahead. Usually I have the cool sounds of the ZiFM breakfast show to keep me company and offer a laugh from time to time, as all good morning radio shows should. When I emerge at our beautiful offices I find myself humming a tune and embracing the day ahead. Like I said…really simple. However, for the past few days I have emerged from my vehicle singing a jingle about… drumroll please… voluntary medical male circumcision (VMMC)! I know right, medical male circumcision has made its way onto our airwaves and I am a victim of the catchy tune. Usually, the jingles stuck in my head are about super fast ADSL or some mobile phone company’s ‘super saving’ promotion, but not today! I am proudly humming about getting circumcised (not me in particular but I am inadvertently encouraging men to go out and get circumcised…as this is the cool thing to do!). Now being part of a strategic communication outfit, it shouldn’t surprise me what a powerful tool the radio can be for spreading development messages; however, I find myself still being pleasantly surprised. The short but effective jingle has me wondering how many of my male friends have opted to get circumcised, what informed their decision and most importantly I am curious about the impact of this campaign. I for one am surely not part of the target audience but I find myself strangely affected. I find myself thinking about impact evaluations that are looking into the effectiveness of particular campaigns to encourage grown men to engage in what I can only imagine is a very uncomfortable (and I am downplaying it here… the real word is probably excruciating) procedure. PSI Zimbabwe is leading this campaign to promote voluntary medical male circumcision in Zimbabwe. They have launched a series of campaigns with popular musician Winky D as the initial front man of the campaign. The campaign began in 2011 and has grown to include numerous other popular artists on the local music scene. I couldn’t say how effective the campaign has been in actually translating hooking jingles into action but I am sure that it has caught the attention of a few people, it definitely has mine. The campaign also includes a growing Facebook page with 803 followers (as of 6 November 2013). The page is regularly updated and interactive, which is a real plus in terms of engagement. The campaign has been criticised for sending mixed messages that encourage young people to get circumcised and abandon other forms of contraception. However, after a very quick browse of their Facebook page I was impressed to see comments from PSI encouraging both circumcision and the use of condoms. We usually train that radio is still the most effective and efficient way to get messages to a broader audience in Africa. In Zimbabwe there is a 30-35 % radio penetration making this the most powerful medium for mass communication (television has 20-30%[i] penetration and newspapers are even less). ZiFM which is the newest radio station on the block (the only privately owned radio station in Zimbabwe) definitely has increased the reach of radio to some of our less serviced areas such as Mutorashanga. 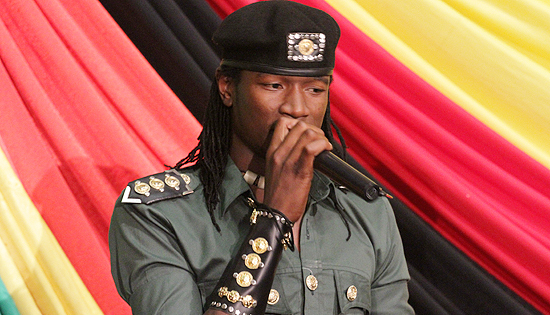 So now that they have the correct medium, convincing champions (Jah Prayzah’s version really caught my attention) and a few catchy jingles, I really wonder what the impact of this campaign has been. I am off in search of some stats, who knows, maybe I can convince someone from PSI to give me some compelling information to assess the impact of the campaign on actually increasing VMMC. For now, I will continue singing “pinda musmart, enda unochecheudzwa…” (loosely translated, join the smart crowd and go get circumcised)… I may just start asking my male friends to answer some challenging questions if they haven’t joined the smart crowd! Getting circumcised is not a cool thing to do. It certainly doesn’t seem to help against HIV. Your smart friends will stay intact. It seems highly unrealistic to expect that there will be no risk compensation. The South African National Communication Survey on HIV/AIDS, 2009 found that 15% of adults across age groups “believe that circumcised men do not need to use condoms”. ABC (Abstinence, Being faithful, and especially Condoms) is the way forward. Promoting genital surgery seems likely to cost African lives rather than save them. Europeans don’t circumcise, South Americans don’t circumcise, Australians and New Zealanders used to circumcise but stopped, and less than half of North Americans circumcise. Why should Africans circumcise? page was advocating for both male circumcision and condom use. fruitful as was initially hoped for).